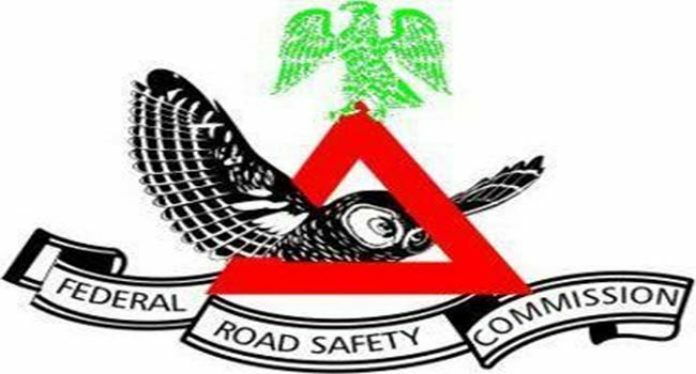 The Federal Road Safety Commission, FRSC has reacted to a viral video showing one of its officer fighting with a woman in the Northern part of the country. The video sparked outrage in Nigeria (at least in the social media sphere) and many criticizing them here and there. The attention of the Management of the Federal Road Safety Corps (FRSC) has been drawn to a trending video footage on social media, especially Facebook and WhatsApp which shows members of the FRSC patrol team engaging in a fight with a female driver and a passenger during a patrol duty along Jalingo-Wukari route in Taraba state. In line with the existing policy of the Corps on fighting involving its personnel on patrol, the Corps Marshal ordered a preliminary investigation into the matter which revealed that the affected patrol team was from Taraba State Sector Command. That in the course of its patrol along the route, a female driver was sighted driving without wearing a seat belt, upon which she was stopped for consolidation of the offence by a member of the patrol team. In the process, the offender flared up on the grounds that she was on seat belt; retorting and shouting on top of her voice with verbal insults on the arresting marshal who got provoked and retaliated verbally to the altercation. Members of the public are hereby informed that in view of the standing policy of the FRSC on issues of indiscipline among its personnel and vehemence with which the Corps Marshal holds issues of fighting involving its personnel on patrol duties, he has ordered full investigation into the matter to determine the background, the cause and culprits of the unfortunate incident. In addition, the Corps Marshal has directed that the affected personnel appear before the Federal Road Safety Corps Disciplinary Panel at Zone 3 Headquarters Yola, Adamawa state to face charges of fighting and conduct unbecoming of Officers and gentlemen of the Corps. FRSC Management regrets the embarrassment caused by the ugly incident to members of the public and strategic stakeholders of the Corps whose supports have led to the high-level disciplinary standards the Corps has been known for over the years.